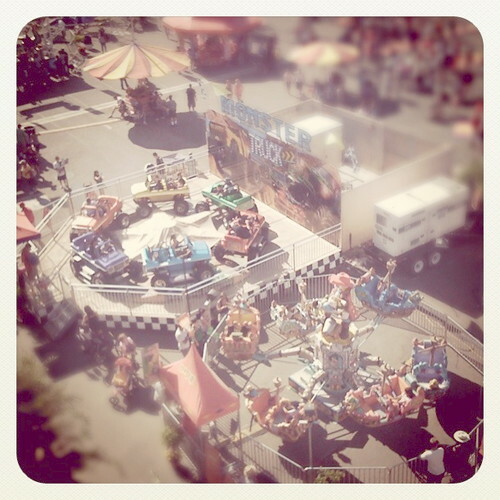 Last weekend, Morgan and I went to the OC Fair. 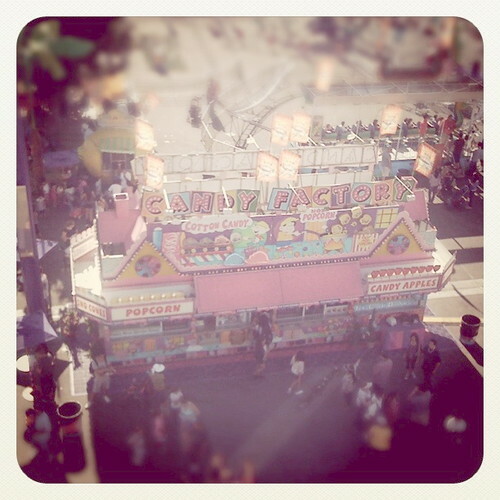 In short, we indulged in deep fried delights, rode 9 ticket rides, won a stuffed animal, pet pigmy goats, and rode the people mover. 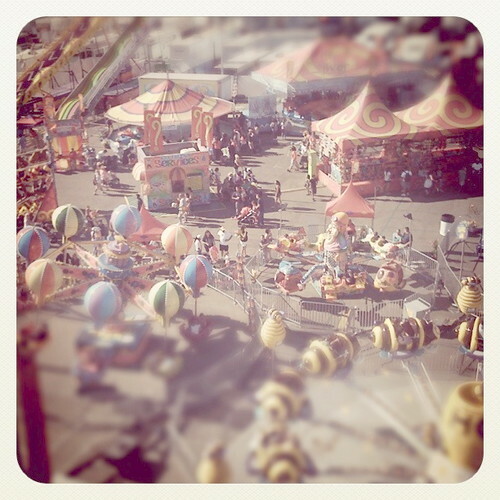 While up in the air, I was able to snap some photos of the carnival below in proper tilt shift fashion. Enjoy! 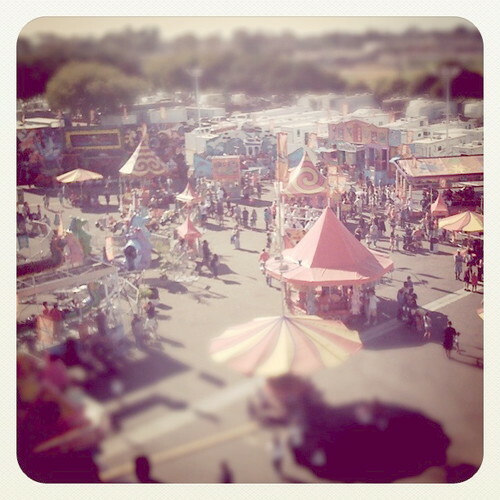 Oh, and if you want to catch the OC Fair, this is the last weekend they'll be in town.